Participate in the Nation's Quality of Life Survey! Check out President's Podcast - our first! Posted here will be topics of interest to Nisga'a citizens. Gitlaxt’aamiks, May 10, 2013 – Our first hot topic turns out to be our first podcast from NLG! 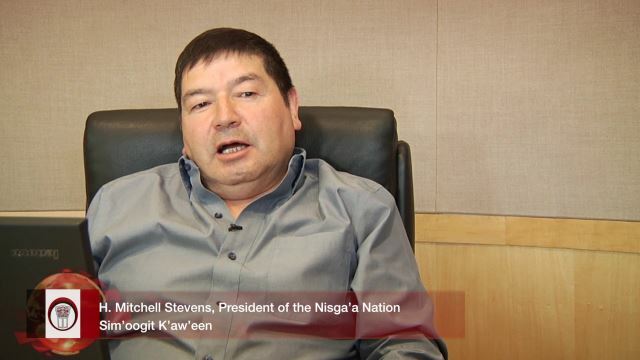 Via this podcast, President Mitchell Stevens of the Nisga'a Nation today is launching the Nisga'a Nation's new website at www.nisgaanation.ca in honour of Nisga'a Day, the 13th anniversary of the effective date of the Nisga'a Treaty. As part of his welcome, President Stevens asks Nisga'a citizens to check out our site, and explore all the things we have for Nisga'a citizens. The launch not only appears on the web, but is also being shown to our Nisga'a citizens here at Nisga'a Day.